Winter blues is no joke. Most people develop mood disorders in late fall and winter months, which often leads to depression. I’ve just started taking an interest in essential oils last year and I’m finally getting around to buying and using some in more recipes because I like a more holistic approach when it comes to health and well-being. 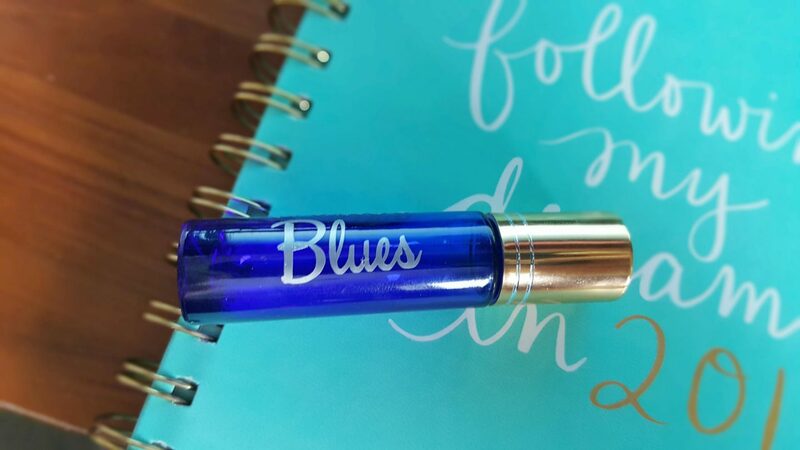 Because of the lack of sunlight (hello daylight “pointless” saving time..), the end of the year stress from Etsy, and my cat dying, I decided I should make an essential oil rollerball blend to get me out of my moody blues funk. Carrier Oil like Fractionated Coconut Oil, Apricot Kernel Oil, etc. I used Hazelnut because it’s what I had on hand. 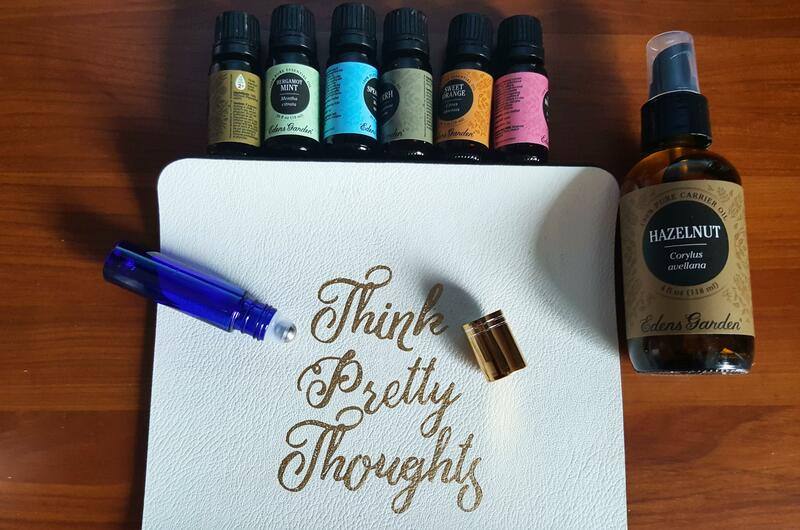 Fill the rest of the rollerball with the carrier oil of your choosing. 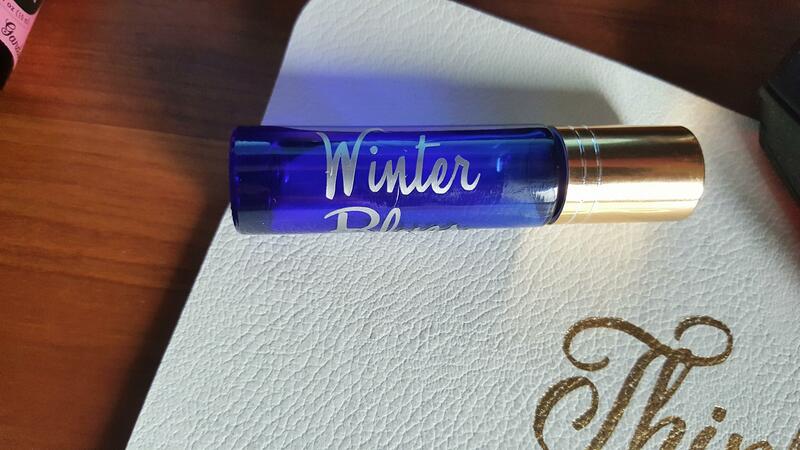 All of these essential oils having amazing mood enhancing, uplifting and motivating elements to them, which is why they make the perfect blend for the winter moody blues. As you can see by visiting the links, I recommend EdensGarden for essential oils since they’re affordable and 100% pure essential oils with no added synthetics. Ditch the high priced companies and never look back; your mind body and wallet will thank you for it! They’re not an MLM company either, so no dealing with a middleman; just order right online! My sister actually recommended EdensGarden to me after her crunchy mama friends recommended them to her. I knew they had to be good if people were buying this brand over the more expensive well-known brands. And lets face it, who can really afford that if you diffuse and make your own products on the daily/weekly? Those tiny bottles go quickly and I can’t afford to spend 40$ a bottle! I ended up slapping a piece of my Oracle 651 vinyl I cut from my Cricut Air 2 onto the roller ball so that I can keep track of my roller ball blends, but if you don’t have one, you can get letter stickers at any craft store in your area. Hope this winter moody blues blend uplifts your spirits as much as it has mine! Next Post 7 Must-Have Essentials for Toddler Sick Days! I have never used essential oils, but everyone raves about them! i will have to give these a try!! OMG this is awesome! I am missing Myyrh, Spearmint, and Rosemary. Though I have regular orange not sweet and I have no idea what the difference is. I am always looking for good combo’s to brighten my day! Never thought to use it in roller ball form! I have never used essential oils either but this sounds like a soothing blend to melt away winter stress! Thank you for posting this! I love Frank and Myrrh, I prefer them in incense, but am also drawn to those notes in perfumes as well, never thought of making my own rollerball with them! Nice! OMg this is so clever!! I had no idea you could even make your own rollerballs!! This looks wonderful!! I already have most of these around. Really need some help beating the winter blues. Wow, these are fabulous. I’ve never tried essential oil before, and I think it’s worth trying. Good stuff. 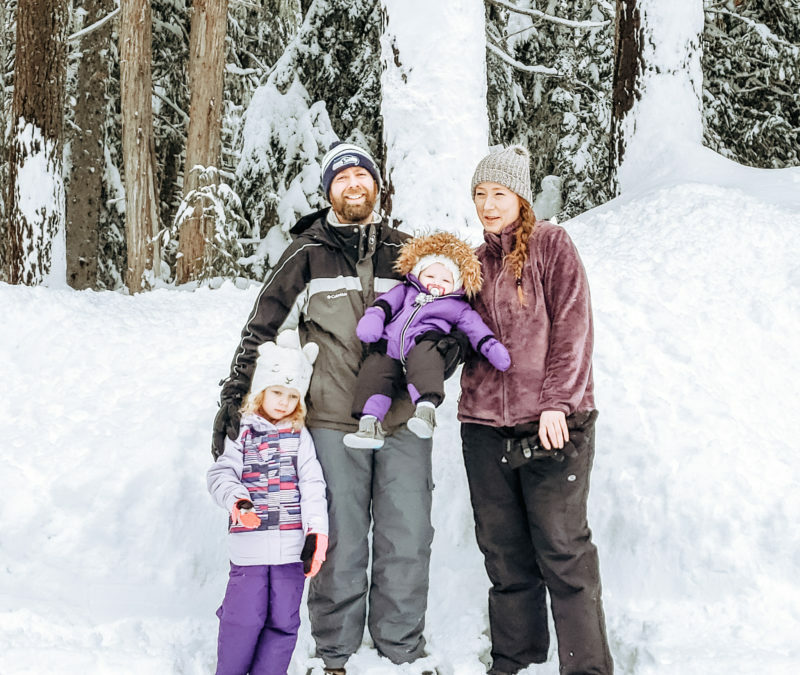 I often use essential oils for a variety of reasons – but never thought about it for winter blues. Perhaps it’s because I live in Canada, and winter is an integral long part of our year. This blend sounds awesome! I have almost all of these at home already! I love your cute labels for the bottles! This is such useful info. I have never been into essential oils but I do tend to get down in the winter and I think this might help me. I trust it more when it’s not coming from an MLM salesperson! I carry 3 rollerballs in my purse at all times. I knew I shouldn’t have gotten rid of my Cricuit. Love the idea of creating cool labels. I wish I would’ve gotten these before x-mas! Seems like a great gift! I’ve never use essential oil before but your recipe sounds awesome. Thanks for your sharing.